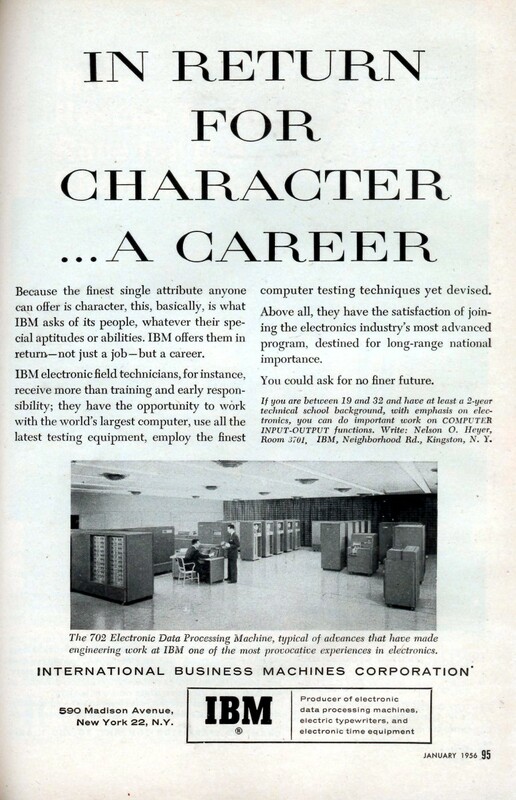 Because the finest single attribute anyone can offer is character, this, basically is what IBM asks of it’s people, whatever their special aptitudes or abilities. IBM offers them in return – not just a job – but a career. 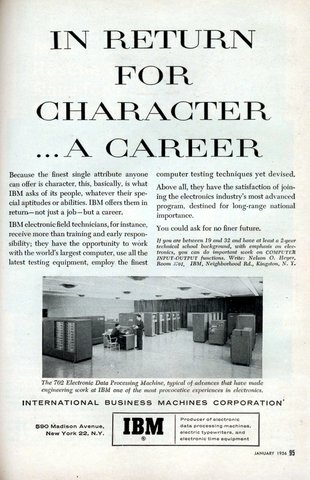 IBM electronif field technicians, for instance, receive more than training and early responsibility; they have the opportunity to work with the world’s largest computer, user all the latest testing equipment, employ the finest computer testing techniques yet devised. 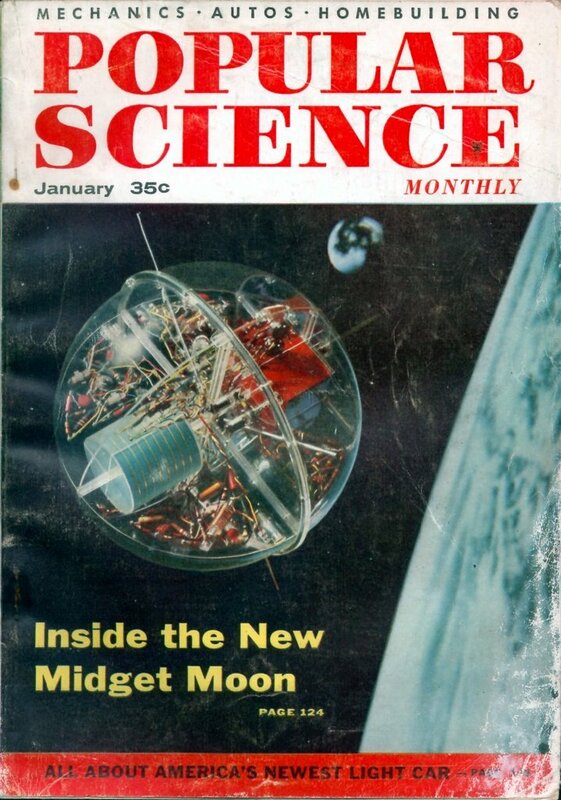 Above all, they ahve the satisfaction of joining the electronics industry’s most advanced program, destined for long-range national importance. You could ask for no finer future. If you are between 19 and 32 and have at least a 2-year technicial school background, with emphasis on electronics, you can do important work on COMPUTER INPUT-OUTPUT functions. Write: Nelson O. Heyer, Room 3701, IBM, Neighborhood Rd., Kingston, N.Y.